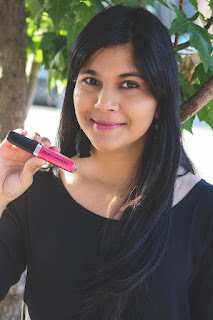 because they are long lasting, I do use the Marc Jacobs lip gloss as a little topper for a little more oomph if you will. Let's talk packaging: With the sleek black cap, it looks like the classic lip gloss, but it actually a lipstick! The tricks they pull! Ithink it was up to par with the Mac Jacobs packaging and looks which they don't tend to steer away from. All their lip gloss, eye liners, etc have the same consistent packaging. I'm indifferent to it. So the first color I tried out is Sweet Escape #564 which is described as a Pink Lemonade shade. 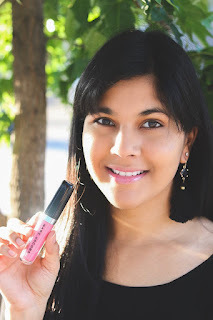 I absolutely loved how velvety, silky smooth these felt on my lips. It definitely hydrated while adding a gloss, and hint of a soft pink color. I was so excited to try the next one which is Candy Bling #562 described as a Red Raspberry shade…but I was left wanting more. It wasn't as pigmented as I had hoped for a lip gloss. So, I swiped on more layers, nothing…nada..zip. I know it's supposed to be a gloss and not as pigmented, but still a little more color would have been much appreciated. At twenty-eight bucks a pop - I genuinely don't see myself going out of the way to repurchase either of these items. 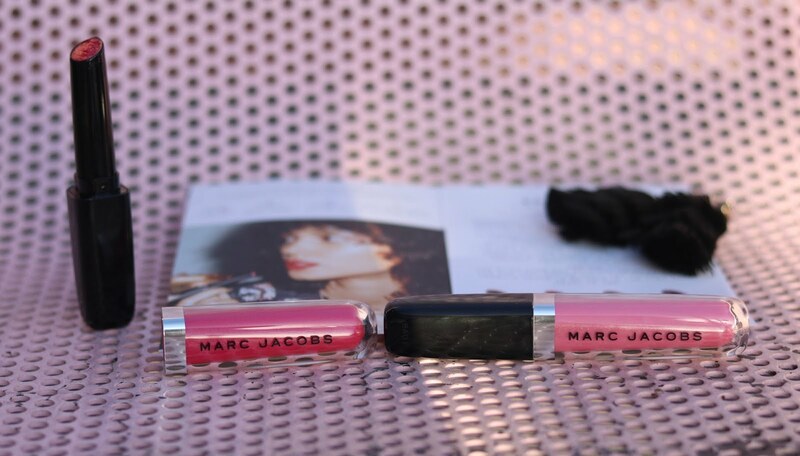 I do just fine with my regular Marc Jacobs lip gloss where a little does go a long way. I'll be topping these on top of similar lip stains for that added glamour make-up look. *These products are complimentary through Influenster, all views & opinions are my own.